Hope you are all having a great weekend so far!!!! 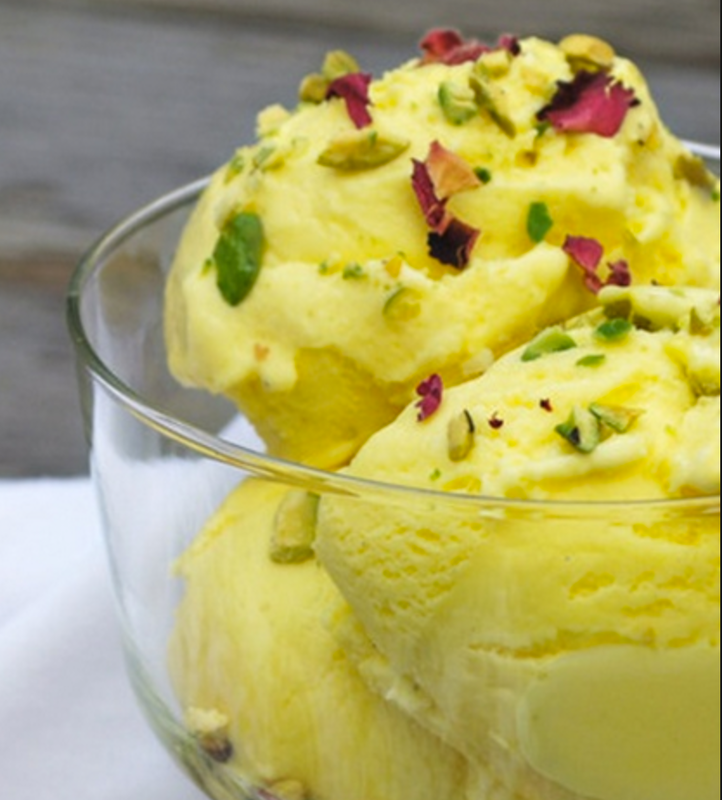 This ice-cream is unlike any ice-cream ever made, it is rich… it is delicious and so super addictive! Of course the original recipe has cream in it and since I have transitioned to a vegan lifestyle… I have been missing this ice-cream!!! so I decided to try out a few alternative ways of making this into a non-dairy recipe!!! To make this diary-free you will need to use a dairy-free Vanilla ice-cream as a base. I use the vanilla ice-cream made from Coconut cream.. don’t worry the coconut taste is so mild you won’t even taste it!!! If you are feeling ambitious you can make your own coconut cream ice-cream base. I already wrote a blog on how to make this on my “ there is no cream in this ice-cream Blog” based on a recipe by Gemma Stafford on youtube. * Note: saffron contains many plant derived chemical components which are known to prevent diseases. They are also known to promote overall well-being of the body. The active components in the saffron make our body lose its depressing characteristics making it a dietary necessity sometimes. *Note: Rose water: it is rich in flavonoids, anti-oxidants, tannins and essential vitamins like A, C, D, E and B3. Rose water is a mild sedative and anti-depressant. It enhances moods, helps relive nervous tension and improves skin texture!!! – Prepare the vanilla ice-cream base ( Gemma’s Video) or buy a suitable vanilla ice-cream. you will need to Chill 1 can of coconut milk in the refrigerator for at least 6 hours, preferably overnight. Chill all of your bowls so that your ice-cream does not melt while preparing. -This cream should be pretty thick…you should whip up the coconut cream on high speed ( with electric beater) until it’s light and fluffy, 3-4 minutes. or you could mix it up by hand. -Add the saffron, rose water, coconut cream and pistachio (you might want to keep some pistachios for later) and stir with the spatula until everything is evenly mixed. -Allow the ice cream to freeze again and then serve as desired. 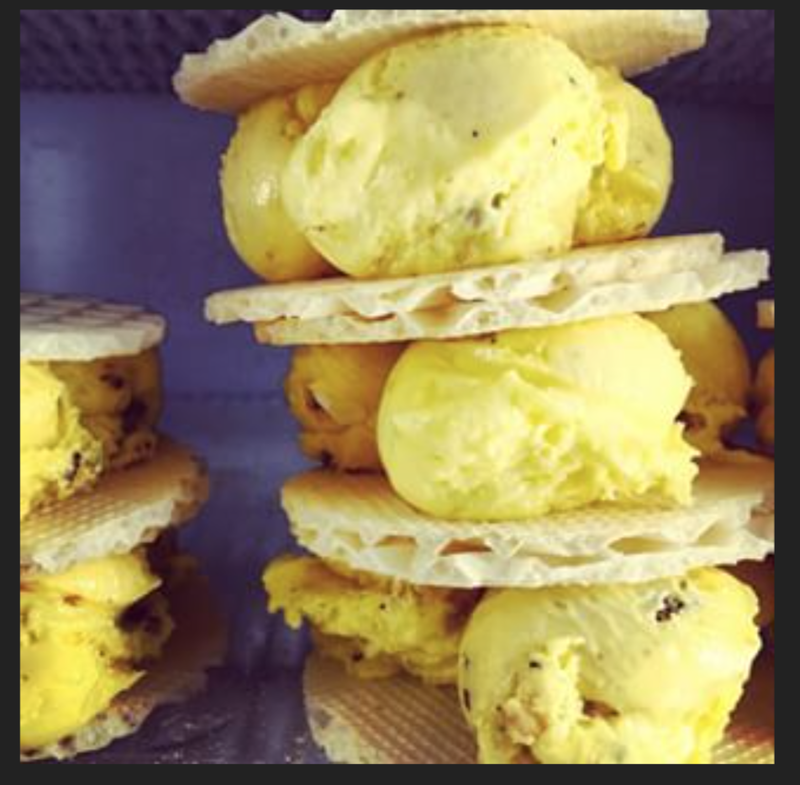 Traditionally this ice-cream is served with the special ice-cream bread ( ice-cream sandwich) but you can enjoy this with or without it!! Wow, and what a fantastic colour!